- Player began as a chance meeting between Peter Beckett and J.C. Crowley, in 1977. They met by coincidence, both being the only two dressed in jeans and t-shirts, attending an all-white garb party in Hollywood. J.C. came from Galveston Bay, Texas. Oddly enough, they both turned out to be singer/songwriters, and made plans to get together later and jam. In J.C.'s garage, they began working on their new material. They called themselves Riff Raff but later changed their name to Bandana and recorded a single called "Jukebox Saturday Night". The chemistry was good enough for Beckett and Crowley to agree to the idea of organizing another band to play their own songs. They hired Mark Roswell as their manager, who later brought in Paul Palmer. Paul introduced them to his friend Ronn Moss, who came aboard as their bass player. It was just the three band members jamming for awhile, then Ronn brought in his old friend John Friesen(drums). Both had been in high school bands together. John Friesen had toured with the Ice Follies as a drummer, percussionist, and music director. The band's style of music developed into mainstream soft pop/rock, with mellow keyboards and layered harmonies. This seemed to fit right in with the breezy sounds of L.A at the time. They began playing bars and gigs to perfect their playing skills. Their potential managers took them around to different producer's offices to play live, lugging their guitars and amps. The band's theory was that "a demo tape can be thrown on a shelf and forgotten, where as a live band wouldn't fit." The band was turned down many times when auditioning. They eventually ended up at the office of Dennis Lambert and Brian Potter, successful songwriters and owners of a new production company called Haven Records. Dennis and Brian were well known at the time for producing recording artist such as The Grassroots, The Four Tops, Dusty Springfield, Glenn Campbell, and The Righteous Brothers to name a few. It wasn't until the band played "Baby Come Back" live in their office that Lambert and Potter's chins hit their chests, knowing the band had something unique. They then took the guys into the studio to record a few songs. Based on these tracks alone, Lambert and Potter were quite impressed, but Haven Records had since then folded. They then collaborated with the owner of RSO Records, Robert Stigwood, and CEO Alex Corey, and got the band, still nameless, signed to a record deal. The matter of a band name was resolved while watching a movie on television. They saw the end credits list the film cast as "players", and so they dropped the "s" to become Player. The band also added keyboard/synthesizer player Wayne Cook, former band member of Steppenwolf (1976), as a session artist. A few short months later, with massive radio play, Player had an international number one hit single called 'Baby Come Back'. This song came about when Peter Beckett had just split from someone he had been in a relationship with for a long time. Still feeling the sting, he sat down with J.C. Crowley, to write, and their moods came out in the song 'Baby Come Back'. This song broke on the radio in October of 1977 and reached number one early January 1978. 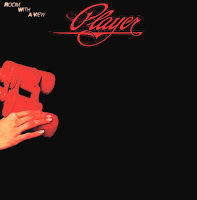 Player was voted by Billboard Magazine's honor roll as Best New Single Artist for 1978. 'Baby Come Back' was immediately followed by their top ten hit, 'This Time I'm In It For Love'. Both songs appeared on their self-titled, debut album, PLAYER. As well as both playing guitar, Peter and J.C. shared the lead vocals on this album, except for 'Tryin' To Write A Hit Song', which Ronn Moss took the lead vocals on. J.C. is also credited with playing keyboards and synthesizer as well as guitar. They first performed live as the opening act for Gino Vanelli November of '77, then later with Boz Scaggs. It was in the middle of this tour that 'Baby Come Back' became a huge hit, and the band took off from there. The following year in 1978, they released a second album also on RSO, called DANGER ZONE. This album produced the hit singles 'Prisoner Of Your Love', which made the top 40 list, and 'Silverlining'. Where their first album captured the sunny sound of California pop, DANGER ZONE illustrated the band's progressive pop/rock side with heavier guitars pushed to the front. Both LPs, PLAYER and DANGER ZONE, released also on 8-Track, went gold. The band then continued to tour bigger arenas with Eric Clapton on his famous 'Slow Hand' tour, Heart, Little River Band, and Kenny Loggins, as well as headlining at smaller venues. RSO wanted Player to harden up their image, putting them on tours with hard rock bands. After extensive touring, JC decided to return to his roots in the country music field as Peter, Ronn, and John continued on to record their third LP 'Room With A View'. Departing RSO, Player then signed with Casablanca Records, releasing their third album, ROOM WITH A VIEW, in 1980, which Peter co-produced with Tony Peluso. From this album came the top forty hit 'It's For You'. ROOM WITH A VIEW was a combination of soft, romantic melodies, such as 'Bad News Travels Fast', and heavier rock tunes, such as 'Tip Of The Iceberg'. Peter sang and wrote every song on this LP. By the end of the tour, Ronn Moss' focus had now shifted to acting, and he quit the band to make films in Italy. This left Peter and John as the only two original band members to continue with Player. 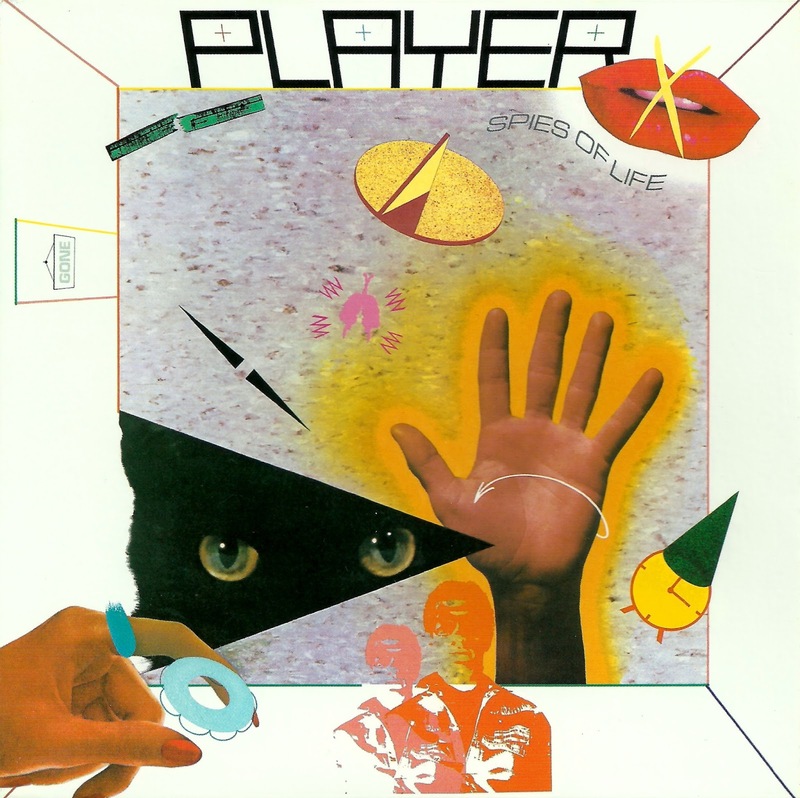 By 1982, Peter Beckett and Dennis Lambert collaborated on the release of Player's fourth LP, 'Spies of Life', on RCA Records. From that album came the single 'If Looks Could Kill'. Also joining Peter and John Friesen, the only two original band members left, was Miles Joseph(guitar/vocals) and Rusty Buchannan(bass). Miles was credited on ROOM WITH A VIEW as a session artist but was now listed as a PLAYER member on SPIES OF LIFE. J.C Crowley appeared again on this Player album, but this time as a co-writer with Dennis Lambert on "I'd Rather Be Gone'. After this album, the band members went their separate ways. LOST IN REALITY earned Player a nomination at the L.A. Music Awards for best independent production of a cd. This was the first time in fifteen years that Peter and Ronn had performed live as Player. Backing them up was Elliot Easton of the Cars on guitar, Burleigh Drummond of Ambrosia on drums, and Tony Sciuto of Little River Band on keyboards. The reviews were so amazing, that they had several offers to continue playing live again as Player. River North was orignally a country label out of Nashville, and later dropped the band. Player tried to buy back the rights to the cd, with no luck. Longing to be on the road again, Peter and Ronn Moss decided to regroup, touring as Player once again in the spring of 1998. The backing lineup consisted of Tony Sciuto(LRB), Burleigh Drummond(Ambrosia), Steve Farris(Mister Mister), Ron Green(Loggins and Messina), Dave Amato(Reo Speedwagon), Ron Wikso (Foreigner), depending on their schedules. A later lineup of Player included drummer Craig Pilo, Michael Hakes, Ron Green, Tony Sciuto, Ronn Moss and Peter, playing festivals and venues across the United States. Sadly, Michael Hakes died on November 19, 2003, from complications of leukemia. He was an excellent guitarist, sideman, bandleader and composer. He was also known as the creator of a software called SmartSound that offers customers original royalty-free music. After losing a band mate, the band lost their spirit to play, and Player stopped touring. They then continued on with their other projects. In 2007 Player reunited once again with a lineup of: Beckett, Moss, Pilo, Green, Ricky Zacharaides (guitar) and Ed Roth (keyboards). By 2009 Rob Math (guitar) and Johnny English (keyboards) had come in to replace Zacharaides and Roth. On November 14, 2009 J.C. Crowley temporarily reunited with Peter and Ronn at Agua Caliente Casino Resort Spa in Rancho Mirage, California for a tribute concert to Dennis Lambert in a charity benefiting the Desert Arc Foundation. - Player is an American rock band that made their mark during the late 1970s. The group scored several US Hot 100 hits, three of which went into the Top 40; two of those single releases went Top 10, including the No. 1 hit "Baby Come Back", written by group members Peter Beckett and J.C. Crowley. Player first came together in Los Angeles, California. The original members included Peter Beckett (lead vocals, guitar), John Charles "J.C." Crowley (vocals, keyboards, guitar), Ronn Moss (bass, vocals), and John Friesen (drums). Beckett, a transplanted Englishman, had been in a group called Skyband with Australian Steve Kipner (who had also played with the Australian band Tin Tin). After Skyband broke up in 1975, Beckett was in Los Angeles and met Crowley at a party. He and Crowley teamed up in a new band called Riff Raff, which soon changed its name to Bandana and released a single, "Jukebox Saturday Night", on Dennis Lambert and Brian Potter's Haven label. Steve Kipner and former Grass Roots guitarist Reed Kailing were also members of Riff Raff/Bandana, but Kipner was gone before the single's recording and Kailing was aced out after its release, though some of the Bandana tracks with Kailing's playing and co-writing later appeared on Player's debut. When Haven folded soon afterward, Lambert and Potter brought the others over to RSO Records in 1976, and Beckett and Crowley started anew with Moss and Friesen (a former percussionist and musical director for the Ice Follies) as Player. Wayne Cook, a keyboardist/session player and former member of Steppenwolf, was an additional bandmember for its live performances; he is the curly-haired keyboardist in the band's videos from the 1970s. Player gained popularity as a live act during the heyday of the 1970s stadium rock era. They first went on the road in the fall of 1977 opening for Gino Vannelli, then Boz Scaggs. They began to develop a distinctive, edgy and melodic rock style. Their biggest hit, "Baby Come Back", released in late 1977, rose to No. 1 on the Billboard Hot 100 in January 1978 and was a chart success in other countries. Their follow up single, "This Time I'm in it For Love", also peaked at No. 10 the same year. Among several notable accolades, Player was named Billboard's Best New Singles Artist of 1978. Eric Clapton invited them to open for him during his 1978 North American tour. Later in 1978, keyboardist Cook left and was replaced by Bob Carpenter (who would go on to join Nitty Gritty Dirt Band). Eventually the band began to headline some of their own events, as well as continuing to open shows for artists like Heart and Kenny Loggins in the fall of 1978. But after playing a show with the latter at Coconut Grove in Miami, Florida on October 29, 1978, tension among the various group members resulted in a huge blow up. When the smoke finally cleared, and after the group played a few more shows with Heart in late 1978 and early 1979, Beckett left and the group was without a record contract. The remaining three, Crowley, Moss and Friesen, attempted to find a new deal and carry on but were unsuccessful. Crowley then decided to leave, eventually to return to his native Texas, where he later pursued a career in country music. In the meantime, Beckett regrouped with the other two to continue on as Player. Player released four albums during their active touring years: Player (RSO Records in 1977), Danger Zone (RSO Records in 1978), Room With A View (Casablanca Records in 1980), the latter without Crowley, and Spies Of Life (RCA Records in 1981). After their later reformation, they released their fifth album Lost In Reality on River North Records in 1996 and Two Many Reasons followed on Frontiers Records in 2013. Miles Joseph (vocals, guitar) and Gabriel Katona (keyboards, ex-Rare Earth) joined Beckett, Moss and Friesen in the studio for the group's third album, Room With a View (1980), produced by Beckett with Tony Peluso. But Ronn Moss left Player by the end of 1980 to pursue a full-time acting career (he played the role of Ridge Forrester on the soap opera The Bold and the Beautiful from 1987 until 2012). 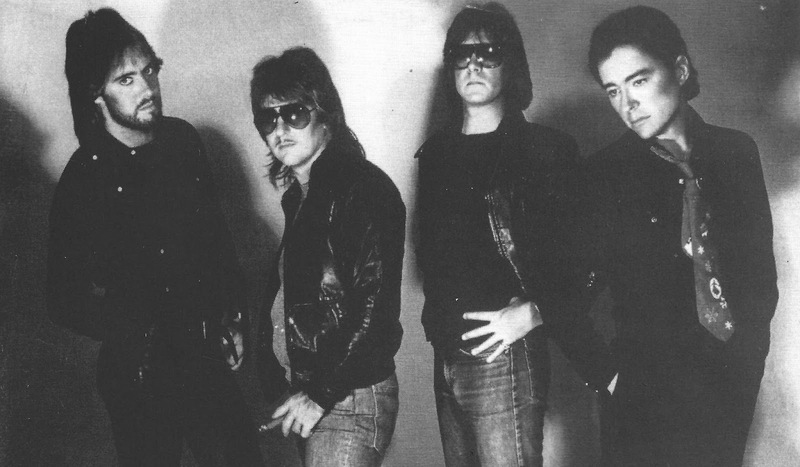 After Moss left, Beckett kept the band going with Friesen, Joseph, Katona and Rusty Buchanan (vocals, bass, ex-Sugarloaf), and the band, with producer Dennis Lambert back on board, released their fourth album, Spies of Life, on RCA in late 1981. The band continued until 1982 and played on the music series Solid Gold that year with the new lineup. Peter Beckett went on to be a member of Little River Band from 1989 to 1997 and played "Baby Come Back" at its performances. J.C. Crowley (who still occasionally wrote with Beckett) became a Nashville performer and songwriter, recording his only solo album, Beneath the Texas Moon, in 1988. In 1989 he had country hits with "Paint the Town and Hang the Moon Tonight" (No. 13) and "I Know What I've Got" (No. 21), and was named "Best New Male Country Performer". He wrote a number of songs recorded by Nashville artists, including Johnny Cash and The Oak Ridge Boys. He also won a battle with cancer in the late 1990s and now lives in Topanga, California. Although Player officially retired as a touring band, Moss and Beckett have partnered on occasion. The duo recorded an additional studio album as Player, released in Japan in August 1995 as Electric Shadow and renamed Lost in Reality when put out on River North Records in the U.S. in May 1996. On December 16, 1997 Player played live for the first time in years at the L.A. Music Awards at the Hollywood Palladium with a lineup consisting of Beckett, Moss, Elliot Easton (of The Cars) on guitar, Burleigh Drummond of Ambrosia on drums and Tony Sciuto of Little River Band on keyboards. A compilation album, Best of Player, was released in 1998. The response to the group's reunion show was so enthusiastic that they had several offers for more concert dates. River North Records dropped the band and Player tried to buy back the rights to the Lost in Reality CD but were unsuccessful. Player toured in the spring of 1998 with a lineup of Beckett, Moss, Sciuto, Drummond, guitarist Steve Farris (formerly of Mr. Mister) and percussionist Ron Green, with guitarist Dave Amato (from REO Speedwagon) and drummer Ron Wikso (formerly of Foreigner and The Storm) filling in for Drummond as needed depending on the schedules of the others. A 2000 lineup of Player included drummer Craig Pilo, guitarist Michael Hakes, Green, Sciuto, Moss, and Beckett playing more shows across the United States. Michael Hakes died on November 19, 2003 from complications from leukemia. After Hakes' death, the band stopped touring and concentrated on other projects. In 2007 Player re-emerged once again with the lineup of: Beckett, Moss, Pilo, Green, Rob Math (guitar) and Jawn Star (keyboards). Percussionist Ron Green last appeared with Player in 2008. On November 14, 2009, J.C. Crowley temporarily reunited with Beckett and Moss at Agua Caliente Casino Resort Spa in Rancho Mirage, California for a tribute concert to Dennis Lambert in a charity benefiting the Desert Arc Foundation. In February 2013 Player released their new album, Too Many Reasons, on Frontiers Records. They toured throughout the United States and Canada over the summer as part of the Sail Rock 2013 with Christopher Cross, Gary Wright, Al Stewart, Orleans, Firefall, Robbie Dupree and John Ford Coley. Quiet Riot's drummer, Frankie Banali, guested with Player in 2013. Roger Williams' drummer Jimmy Carnelli took over as their new drummer in 2014 and Player did an extensive tour of Australia in November of 2014 promoted as "An Intimate Evening with Ronn Moss & Player". Beckett and Moss split off from the last incarnation of the band to tour with the Yacht Rock Revue both on cruise ships and other venues around the U.S. In 2015 Beckett and Moss appeared on tour with Rock The Yacht 2015 with Little River Band as well as various dates with Orleans and Ambrosia. Moss (with Beckett) has recorded two solo albums: I'm Your Man (2000) and Uncovered (2005). Both Moss and Beckett continue to play limited concert schedules as solo artists and teamed up to play in Australia in 2006 in support of Uncovered. They were named Billboard's Best New Singles Artist of 1978. And no wonder. Their song "Baby Come Back" went to number one on the Billboard Hot 100 chart in 1978. 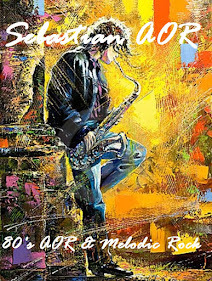 They toured with Eric Clapton and recorded for both RSO Records and Casablanca Records. Peter Beckett was part of that group, and still is. We are talking of course about Player. Q - Peter, I actually saw your group in concert at the Landmark Theatre in Syracuse, N.Y. You opened for Kenny Loggins. A - I remember that. Q - You remember that concert? Q - The audience was very respectful of the band. There was no booing. There was no "Bring on Kenny Loggins." They paid attention to what you were playing. Did you receive that kind of treatment in other cities? A - Well, yeah. We got that everywhere. You got to realize the first tour we ever did was with Boz Scaggs. It was the Silk Degrees tour. "Baby Come Back" hit number one right in the middle of that tour. Then, a year later, they put us on the Slowhand tour with Eric Clapton. Quite frankly, if you can tour with Eric Clapton, you can pretty much tour with anybody. I mean, we got great respect from everybody. We did Dog and Butterfly with Heart and they were much heavier than us. We always got pretty well respected. I think the Kenny Loggins tour was more Player oriented anyway. More similar music than any of those other acts, I think. Q - And now "Baby Come Back" is being used to sell Swiffer mops. A - Thank you very much. Q - Do you own your publishing? A - We own part of it. It's actually had a lot of commercials before that. Before the Swiffer thing, which was huge and quite lucrative I might add, it was a Sprint commercial, an SBC commercial...God, there were three other smaller ones. But the Swiffer one was huge. It was a big commercial. I think Human League has it now. But when those Swiffer commercials run, they're totally national and they run for about eight to nine months. So, it's really good for the writers. Q - I'm not exactly sure if I like the idea of using "Baby Come Back" to sell mops. Q - You're from England. Why did you choose to make your home in Los Angeles in the '70s? Is it because that's where the record companies were? A - Well, I was actually brought out here. I was in a band called Paladin. They were a very highly rated Jazz / Rock fusion band. I was the bass player. I was with them for years...like, late '60s through early '70s. We did all the universities. We put two albums out. We were on the Bronze label with Uriah Heep and all these heavy duty bands. That band broke up and I started writing with a guy called Steve Kipner, over in London, who became my best friend. He later went on to write "Let's Get Physical", "Hard Habit To Break" for Chicago. He wrote "Genie In A Bottle" for Aguilera. He's written a ton of stuff since then. I still see him every once in a while. He brought me over. He set out to L.A. to join this band with Michael Lloyd, the producer. The idea was to have an American, an Australian and an English writer and form this super writer band in L.A. And Michael Lloyd left. So, Steve came over to London and got me, brought me back over to America and that was '74. They gave us a whole bunch of money to sit around the swimming pool on Sunset Strip and write a bunch of songs. (laughs) It was great. I got a tan and felt like I was ten years younger immediately. We did one tour. That band ended up being called Skyband. We did one tour, which happened to be in England and the band came back and broke up. And it was in the remnants of that band that Player was born. So, in answer to your question, I was brought out here. Q - You met J.C. (Crowley) at a party. Would that have been a Hollywood celebrity party? A - Yeah. It was a typical Hollywood Hills party. Robin Williams was there and God knows who else. I was a young guy and didn't really care. It was a good party and there were a lot of chicks there. That's all I cared about and Crowley too, pretty much. I was this Liverpool kid and he was this Texan guy. Everybody was in a white suit and white dresses and we turned up in jeans and t-shirts. Almost got kicked out. We had a couple of beers together and started talking. We said let's get together in a few days and try to see what we come up with. So, I went to his house, which is in the Hollywood Hills. It was in this garage which was full of cockroaches. We sat down in the sweltering heat and started writing a handful of songs. "Baby Come Back" was not one of them. In the later weeks we came up with "Baby Come Back". Then we got (Dennis) Lambert and (Brian) Potter...but, I jump ahead. Q - How long did it take you to write "Baby Come Back" and did you write the words or the music or both? A - We both wrote it together. I was married when I came out to America. She couldn't take the L.A. thing and we got divorced during that period that lead up to "Baby Come Back". Initially it started off being about that and Crowley had his own problems. He came up with the verse chord. I came up with the riff. We wrote the verses together. It was over a period of, I'll say days not weeks. It was definitely a 50/50 effort. We had five songs by that stage. We went 'round and played 'live' with acoustics once we got Ron Moss in the band. In people's offices. We got passed on by a whole bunch of people. We kind of looked good. We were real young and healthy. We kind of had that L.A. freshness to us, and the big harmony thing going on. Then we went into Lambert and Potter's office. They were like pinned to the wall and then we played "Baby Come Back" and they were sold. They got in touch with Al Coury at RSO and played it to the Bee Gees. We made a tape then. They played it to The Bee Gees and Robert Stigwood and they loved it. Next minute we were signed. We were rehearsing just to do a few gigs and our manager comes running into the rehearsal and says "Your record is number 80 on the Hot 100." (laughs) I think that was the most exciting day of our lives. It was even more exciting than when it hit number 1 because none of us had ever had a smell of a hit. Number 80 on the Hot 100? Oh my God! And it was great and then it all rolled from there. Q - One thing that just occurred to me, were you the guy who was wearing a yellow ruffled shirt and black leather pants when you appeared onstage at the Landmark Theatre? A - It could've have been me. It could've have been Crowley. I was the lead singer. So, it would've been Ron Moss on my right and Crowley on my left and (John) Friesen behind. So, whatever I was in, I was in the middle. But, two of us wore leather pants. Crowley wore leather pants and I wore leather pants. I don't know why. They were awful hot onstage. Q - When you were in the garage with J.C. writing these songs, how much time went by before the group was put together: months? weeks? A - Probably, finding Friesen and finding Ron Moss; I mean, we just wrote a bunch of songs by ourselves and then our manager Paul Palmer, who ended up managing No Doubt and Bush ended up with his own label and managing them in later days. He brought Friesen and Ron Moss in like weeks into the thing and then they started sitting around with us. We actually started playing instruments through amplifiers. I would say months. Not a whole lot of months, but definitely months. Q - Probably under six months? Q - How did life change for you and the band when "Baby Come Back" went to number one? Did the tour offers start to come in? Q - I imagine a lot of people would like a number one record. Q - You do have that. It would be easier for anybody to have a number one record if the system was in place like it was 31 years earlier. We don't have Top 40 radio anymore. A - The thing is so spread out and huge, I don't even know what's going on anymore. I've done a lot of writing for other artists and movies and TV. And even that has become a lot harder. I mean, I had a good run there for about ten, fifteen years. Even that's become harder. There's just so many people doing it. It's just harder to nail anything down and especially with the economy, it's pretty whacky. We were doing a good share of gigs right up to a few years ago. Even that started to drop off. We really don't do that many gigs anymore. It's a tough business these days. It really is. Q - You said you're from Liverpool, right? Q - So, growing up, did you see all the bands coming up that the world would know as The British Invasion? A - Oh, sure. I saw The Beatles play like three times at The Cavern. My big brother took me. I ended up playing The Cavern a whole bunch myself when I was like seventeen, with different bands I was in. And then strangely enough, much later when I was twenty-one or twenty-two and living in London, that band I was in Paladinthat was a real touring band, they ended up playing The Cavern on a Saturday night and I got to go home and see my Mum, which was kind of cool. But, The Cavern is still going. I went home last year and it's still there. Q - They tore it down and re-built it, didn't they? A - Exactly. But you know what? And this is the truth. I heard that they tore it down and heard that they re-built it. And I went for the first time a couple of years ago and went and saw it. Once you actually get over the shock that it's on the other side of the road, you go down in there and it's exactly the same, except they've extended it. There's all these extra bars. But, the original three tunnels which were the warehouse, with the brick ceilings, exactly the same. Dressing room is the same. It even smelled the same to me, which was pretty bad. In the dressing room, all the bands had signed bricks. It looked like they had copied it from photographs. It was pretty amazing. Q - When you would go out and see these bands as a kid, did you have any idea you were looking at the future of Rock 'n' Roll? A - I'd already gotten into guitars and stuff. My bigger brother, he was like three years older than me, he used to bring all these papers back from Germany with pictures of The Beatles in Hamburg. It used to get me very excited. I knew once I went into the Cavern that I'd play in there one day and of course the first real band I got into, we played there. We were horrible, but we played it. We played there with several bands after that. Liverpool was thriving because of The Beatles thing. Every little kid with a guitar in his hand was real excited. The place was electrifying. I kind of knew. That was it for me. I even had a little job there and I left it thinking I was gonna take the world by storm. (laughs) I did in a little way. Q - Right. You did. They're still playing your music. How were The Beatles when you saw them? A - Wild as Hell. Loud as Hell. Now, you're talking about the first time I saw them? A - OK. Here's what Matthews Street was like. It's in a warehouse district. Real old, old brick. Three story warehouse buildings. The streets are cobbled 'cause they're hundreds of years old, from horse and cart days. You know what cobbled is? It's like little kind of tiles. Very noisy. And The Cavern was underground. It was a small street, Matthews Street, maybe about fifteen feet across. Just walking up the street, the ground was shaking. You could feel the bass. And then you walked down the stairway to the club. It probably by today's standards wouldn't be loud, but for me, I was only like sixteen and walking down there, it was so damn loud. And it was all brick of course. There wasn't much to baffle anything. I'd never heard anything so loud and exciting in my life. That was pretty much it for me. They were great of course. Not that I would have known if they were bad. Q - Did they have long hair at that time? A - No, not real long. It was just the Hamburg days. They did have the Beatle cuts, if that's what you're referring to. It wasn't real long. They combed it forward. It was the girlfriend of Stuart Sutcliffe I believe who started all that. She got them to dress in black leather and comb their hair forward. That was their signature. I think that's what did it for them. But there were some great bands in Liverpool in those days. A lot of 'em never made it. Do want to hear a real strange story? A - Last year (2008) I went back and for the first time in my life I went to The Beatles Museum, which is different from The Cavern. It's in the same area. It's all warehouses. One of the exhibits is an office and it's supposed to be the office of Merseybeat, the music paper and Bill Harry is sitting there on the phone. It's a wax work, talking to John Lennon. Out the window you can see the docks and everything. I remember standing there thinking, "Wow! Look at that. That was so long ago." It was a little before my time actually. At any rate, I enjoyed it. Well, I stayed at my Mum's house for two weeks and then I came back to L.A. Weirdness of weirdness, I turn on my computer when I got back and there's an e-mail fro Bill Harry, who I'd never met in my life before. He said we're doing this thing for the Liverpool exhibition and we're doing a little plaque on all the guys who made it out of Liverpool and we'd like to do an interview with you. I just thought that was the strangest thing in the world. And they did it and I've been in touch with Bill Harry quite a lot since then, 'cause I've written a book which isn't finished yet. I got about two hundred pages. He's gonna help me get it published in England. Q - You're talking about your autobiography? A - It's a quasi-autobiography. It's got a good sense of humor. The main part of the book is about the old days in Liverpool. I'll put it in thirds. The first third is the old Liverpool days. There's a lot of really inside stuff, inside band stuff in there. The second third is coming to L.A., having a number one record in the days of The Bee Gees and cocaine and Disco and what that was like. Then my last third is like my filling in for Little River Band for ten years and then the film music and the TV stuff. I'm just looking for a real good end. Q - Did any of the '60s bands come to see your band when you played The Cavern? A - Not that I know of in The Cavern, but I'll tell you something interesting. I'm gonna zip forward a little bit. I was in a band in Liverpool called The Thoughts. That was my last band in Liverpool. Then I moved down to London in the late '60s. It was the same band, The Thoughts and we moved down to London. We did a big show. We had this manager and somehow he was a friend of Brian Epstein. He put us on this bill at the Saville Theatre. It was the first show at the Saville Theatre. This was the bill: It was us opening the show. It was The Koobas, a band from Liverpool and then it was Jimi Hendrix and then it was The Who topping the bill. I talked to Bill Harry about this just a few weeks ago 'cause he had it mixed up. He thought it was a different bill. I remember this: When we were on, I remember seeing a couple of guys from The Who and a big Afro walking around in the wings when we were on. (laughs) Not looking that interested in us particularly. Then we stood in the wings watching Jimi Hendrix. But, I stood next to Daltry and Townshend and they'd never seen Hendrix. He was on right before them, doing the whole thing where he was like sitting on his whammy bar, setting the guitar on fire. They were standing there with their mouths open, because they kind of started all that stuff, smashing the guitars and all that. But that was the most interesting bill I ever played on. Bill Harry had it mixed up. He thought it was something else. But he said Paul McCartney was there that night, in like the second row or something. Q - Wikipedia made mention of the fact that the song "Baby Come Back" had found its way onto Ambrosia's site or was credited to Ambrosia and that both groups had a similar sound. Could you see how that could happen? A - You mean how would it end up on their site? Q - You can see how that would happen though, can't you? Q - Like you, they were very good musicians, were good songwriters and yet they didn't receive the publicity they should have. A - I'm not sure it's even publicity 'cause I can tell you this: when we were with RSO during that period, we got tons and tons of publicity. Now, I know what happened with us. When they put us on the Eric Clapton tour, the band took a turn to the left. Instead of sticking with the R&B Pop thing, which is what the first album was, we started to think we're gonna be onstage with Clapton and Heart, we better write some Rock 'n' Roll songs. So, we grew our hair real long. We got the bigger amps, the 100 watt Marshalls and we started to change the band. And the band changed. Then, we stopped getting hits. I don't think for us it was publicity. Q - Why shouldn't a band change their style of music? The Beatles changed their style of music as they went along. As a matter of fact, they were probably the only band that could ever do that. A - You're absolutely right. Q - The Beatles not only changed their music, but their look as well. Today Bon Jovi is Bon Jovi, Bruce Springsteen is Bruce Springsteen. A - You're absolutely right. I've got to be honest with you. In the old days, I saw it as a problem for us. We were doing Rock 'n' Roll, R&B, Pop ballads, and it worried me. But, you're absolutely right, The Beatles did it forever and got away with it. I don't know why it bothered me so much, but it did. I like an album to have a theme and the songs to sound reasonably in the same vein. Q - As we speak, is there now a Player group that you've put together with Ron Moss?